Jim Ferolo, assistant professor and member of the Tappestry team, discusses the importance of informal learning and social learning within academia and the enterprise. Mobile gaming expert Kris Rockwell explains why games are successful, returning to social gaming and how content can be engaging. Aaron Silvers designs experiences in order to help people become better by forming connections among people and resources. Mobile security expert Robert Gadd discusses the four key considerations for enterprise security in these videos from the Float Mobile Learning Symposium 2012. Float formally announces its latest app, Tappestry, and the release of Chad Udell’s Learning Everywhere. Shay Howe of Groupon discusses semantic design during the Float Mobile Learning Symposium 2012. Float announces its schedule of speakers for the Float Mobile Learning Symposium 2012, held at 1871 in conjunction with Techweek in Chicago. 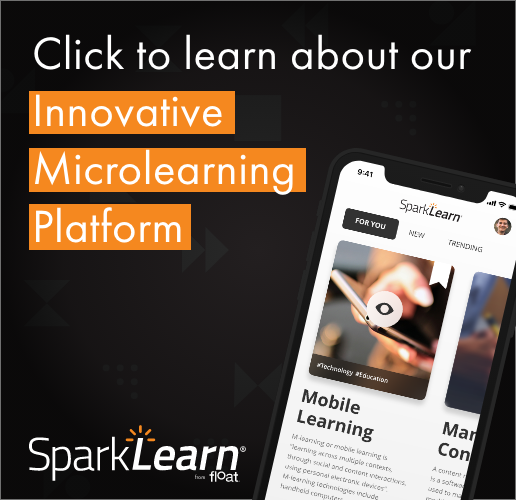 Float Mobile Learning will debut two new projects at mLearnCon and Techweek before hosting the 2nd annual Float Mobile Learning Symposium in conjunction with Techweek.